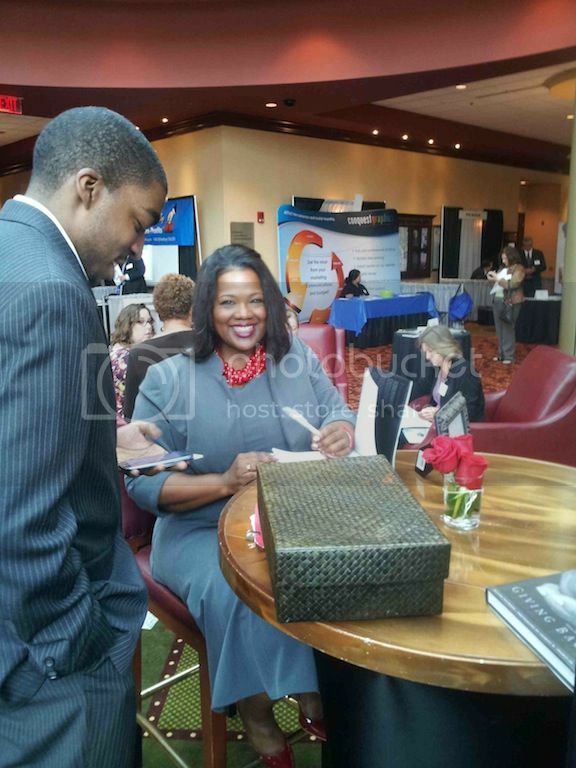 Valaida Fullwood at a Giving Back book signing in NC. The Arizona Community Foundation’s Black Philanthropy Initiative will host its 2014 Feed Your Soul lecture series featuring Valaida Fullwood, author of Giving Back: A Tribute to Generations of African American Philanthropists and Charlene Tarver, Esq., estate planning attorney. The intimate discussion will highlight the history of African American giving and explore ways to drive change in our communities. For more information and to register, visit the foundation’s events page. The Black Benefactors giving circle will launch its member dinner series with philanthropist and non-profit executive Brickson Diamond on Wednesday, February 19th. Diamond is COO of the Executive Leadership Council (ELC), a national organization comprised of current and former African-American CEOs and senior executives at Fortune 500 and equivalent companies, and serves as COO of ELC's related 501(c)(3) charitable organization, the Executive Leadership Foundation. Diamond is also founding chairman of the Blackhouse Foundation, an organization that works to expand opportunities for Black filmmakers. A veteran investment management industry executive and activist, Diamond has spent a total of 15 years in the investment management business, including establishing and coordinating Capital Group Private Client Services’ marketing and service efforts with high net worth focused investment management consultants nationally – a $1.2 billion dollar practice. As a philanthropist, Diamond primarily focuses on organizations dedicated to social change and access for members of the African American and LGBT communities. He is a graduate of Brown University and the Harvard Business School. His story of giving is featured in the new video, “We Are Philanthropists: African American Voices in Giving” by the D5 Coalition. The member gathering has as its goals to: Learn from prominent philanthropists how they identify causes to support and their approach to giving, educate members on strategic philanthropy that will benefit the circle’s collective efforts and member’s individual giving, encourage members to identify ways to increase giving of time and talent and serve as a networking opportunity. For more information, contact info@blackbenefactors.org. Join Bolder Giving for an online conversation about what it means to give boldly in the African American community featuring Tracey Webb, founder of The Black Benefactors giving circle and BlackGivesBack.com, which celebrates African American giving; and Christina Lewis Halpern, who will share how she is carrying on the legacy of her late father, TLC Beatrice International founder Reginald F. Lewis, and her own philanthropic journey as founder of All Star Code, which connects African American young men to the technology industry. To register for Black and Bold, visit here. Join the Birmingham Change Fund giving circle as they celebrate 10 years at its 2014 Change Luncheon featuring guest speaker Robert Holmes, Jr., board chairman of the Community Foundation of Greater Birmingham. Admission price includes a tour the McWane Science Center's Robots & Us Exhibit, a grantee of the giving circle. For more black philanthropy related events and stories, be sure to follow BGB on Facebook and on Twitter at @BlkGivesBack, @BlkGivesBackCLT and @BlkGivesBackNY.